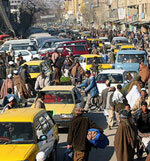 2 May 2005: The number of young landless and homeless rural Afghans migrating to the country’s cities is rapidly increasing. Most migrants are young adults, with the majority being married. Once in the cities, rural migrants spend most any earning on basis living necessities such as food and housing with little chance of accumulating savings. Women earn less than half than men in the same job sectors. A report by the Afghanistan Research and Evaluation Unit shows that young adults were most likely to migrate, with the average age of the population being 31.19 years. The study, entitled ‘Rural to urban labour migration in Afghanistan’, aimed to provide a better understanding of the reasons for, and reality and patterns of, rural to urban labour migration in the country, as it relates to individual and household risk management. The report is based on primary information collected through a survey on 997 individuals in three cities: Kabul, Herat and Jalalabad. The majority of the respondents were married (66.7%); half had brought their families with them to the cities. Most of the migrants also provided the main source of income for their households, and landlessness and homelessness were very high among respondents, 71 and 43 per cent respectively. The majority of the respondents were married (66.7%); half had brought their families with them to the cities. Most of the migrants also provided the main source of income for their households, and landlessness and homelessness were very high among respondents, 71 and 43 percent respectively. Migration flow towards the cities is rapidly increasing. Nearly half of the migrants interviewed had come to the cities within the last year. Not surprisingly, lack of work in the rural areas and the perception of better opportunities in town were the major causes of migration. A majority of the respondents (70.2%) also had experience of cross-border migration. As might be expected, the costs associated with migration to the cities can be quite high. Savings constitute a major portion of the money used to migrate, though some migrants did note receipt of assistance from other sources (friends, family). Once in the city, migrants spend a significant portion of their earned income on basic necessities of living (housing, food) and therefore they accumulate little. Women, in particular, earn on average two and half times less than their male counterparts in the same job sectors. What this study found that was surprising, however, relates to the ability to access labour markets in urban areas and the lack of seasonality of migrant flow. - Lack of access to labour markets. It took an average of three weeks for the migrants to get any type of employment in the city. Despite possessing the skills for certain jobs, daily wage labour and unskilled work in the construction sites are the main sources of employment for the new migrants. Incidence of unemployment in cities remains high, and there are no formal opportunities for workers to gain skills that would help them to graduate to more secure employment. Accessing the labour markets is also difficult for the migrants because they usually lack any vertical social relations, which can assist them in finding work. The majority of the respondents (66%) got their first job in the city without any help of others. However, those who can establish social connections are able to access more gainful and secure employment. For women, in particular, support from social connections is crucial to finding a job. - Self employment. A small portion of the study population were able to start their own business venture, however, this task is also difficult, as it took on average two years’ time to start a business. Capital was required in almost all cases, and the average required was $170. In most cases, savings were the main source of accumulating capital for initiating a business. In a few cases, it as observed that social connections played a role that replaced the need for financial capital. - Migration flow. In most of the cases, rural to urban migration seems to be unidirectional. More than half of the respondents had planned to settle permanently in the cities, while 13.4 percent had already settled in the cities. Perceived higher economic opportunities account for the most significant reason people planned to settle. This study also revealed that the common assumption that people migrate to urban areas during the agricultural ‘off seasons’ and then return when on-farm labour opportunities increase is a false one. Seasonality and the cycles of rural employment seemed to have little effect on the timing of migration and return of migrants to their home villages. - The perception of an urban advantage. Despite the problems faced by the migrants in finding a job or a place to live and the high cost of living in the cities, many of the respondents felt that they had managed to improve their economic situation through migration. The length of migration was found to correlate significantly with the improvement of economic situation of the migrants. Nevertheless, many migrants noted a constant struggle to afford city living, and the average savings migrants had in hand at the time of interview was only 100 Afs [US$2]. This research highlights how rural to urban migration is an outcome of prevailing rural poverty. While migrants may perceive an improvement in their economic situation, migration is also responsible for shifting rural poverty to urban settings. Likewise, urban labour markets are not expanding to accommodate the increasing flow of migrants to the cities, which is aggravating the complexity of poverty. While this study does not make suggestions for migration policy per se, it does include recommendations for interventions that can be developed both at the source and at the destination of migration. These include: creation of programmes that promote employment in non-agricultural activities in rural areas; expansion of schemes to provide low-cost housing for the rural and urban poor; provision of skill enhancement opportunities in the urban areas; and increased facilities for on-the-job training in urban employment sectors, among others. A comprehensive poverty alleviation strategy, however, is urgently needed to supplement these interventions. Kabul, the capital of Afghanistan, is situated at an elevation of about 1800m making it one of the highest capital cities in the World. The population is around one million people. The nation's chief economic and cultural centre, it has long been of strategic importance because of its proximity to the Khyber Pass, an important pass in the mountains between Afghanistan and Pakistan. Manufactures of the city include textiles, processed food, chemicals, and wood products. Tajiks are the predominant population group of Kabul, and Pashtuns are an important minority. Kabul University (founded in 1932) had been the country's most important institute of higher education prior to its closure due to war in 1992. The university was the best known in the region in the 1970 and 1980's. An ancient community, Kabul rose to prominence in 1504, when it was made the capital of the Moghul Empire by the conqueror Babur. Delhi replaced it as the imperial capital in 1526, but Kabul remained an important Moghul centre until it was captured, in 1738, by the Persian ruler Nadir Shah. In 1747 Kabul became part of an independent Afghan state, and in the 1770s it replaced Qandahar as the capital of Afghanistan. It was a focus of British, Persian, and Russian rivalry for control of the Khyber Pass in the 19th century, when it was twice occupied (1839-1842 and 1879-1880) by British troops. The city grew as an industrial centre after 1940. Kabul was occupied by troops of the Union of Soviet Socialist Republics (USSR) in 1979; the USSR withdrew from Afghanistan on Feb. 15, 1989. The city has gone through the toughest and most disastrous civil war in its history between 1992-1996. 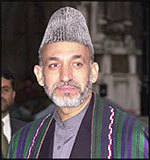 Over 50,000 people lost their lives during the Mujahideen infightings on the streets of Kabul in 1992-1996 period. The city has been under the control of the Taliban government since 1996 and ended in 2001. The Northern Alliance took over the city as the Taliban withdrew from Kabul and retreated southwards. The role of UN and World community is important in bringing prosperity to Kabul. Infrastructures such as roads and traffic system, telephone system, electricity, water sanitation, renovation of buildings are in shambles and the need for reconstruction is very much needed to bring back the city of Kabul to a better place for living.